More than 1,000 multisport athletes will converge on Greenville, South Carolina, next month, as the USAT Duathlon National Championships return to the city for the second consecutive year. Three races will take place over two days from April 13-14 at Lakeside Park, located in the foothills of the Blue Ridge Mountains. On Saturday, April 13, duathletes will toe the line for the Draft-Legal Sprint Duathlon National Championships. The first wave is set to go off at 07:30 ET. Here, competitors will cover a 5km run, draft-legal 18km bike and another 2.85km run. The fast-paced draft-legal format, which enables athletes to pace off each other and work together on the bike, is typical in elite International Triathlon Union (ITU) races; and USAT notes that it is becoming increasingly popular at the age-group level. The action continues on Sunday at 07:30 ET with the Non-Drafting Standard Duathlon National Championships. This race covers an 8.45km run, 39km bike and 4.5km run. The Non-Drafting Sprint Duathlon National Championships follow at 13:05, featuring a 5km run, 18.2km bike and 2.85km run course. 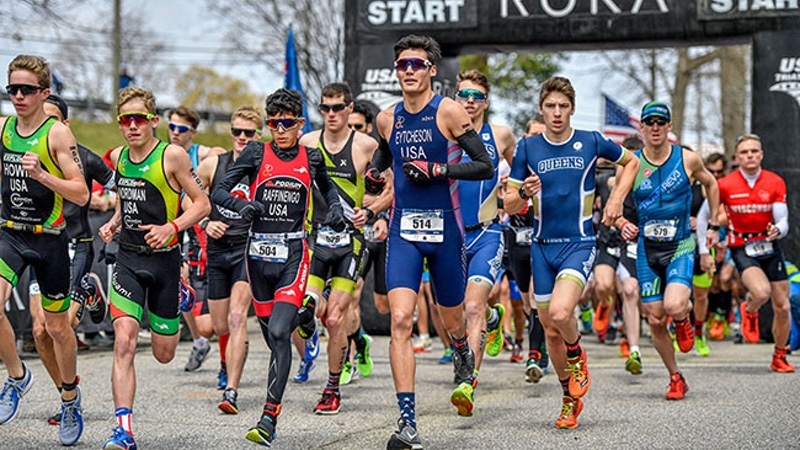 In all three of the weekend’s races, athletes have the chance to qualify to represent Team USA in duathlon competition at the 2020 ITU Multisport World Championships Festival in Almere, Netherlands. Registration for the Duathlon National Championships is currently open at usatriathlon.org/du2019, and no qualification is necessary. Athletes may compete in multiple races throughout the weekend. Greenville is hosting Duathlon Nationals for the second straight year. The city ranked second on Outside magazine’s ‘Best Towns Ever’ list in 2013. It was ranked ‘#7 Best in the US 2015’ by Lonely Planet; the ‘#1 Under-the Radar Southern Food Destination’ in 2016 by Zagat; and was among the ‘10 Best Places to Travel in the South in 2018’ by Southern Living magazine. “On the heels of the success of the 2018 race, VisitGreenvilleSC along with our community partners welcome with excitement the athletes, staff and spectators for the 2019 USA Triathlon Duathlon National Championships,” said Robin Wright, Senior Sales Manager, Sports at VisitGreenvilleSC.